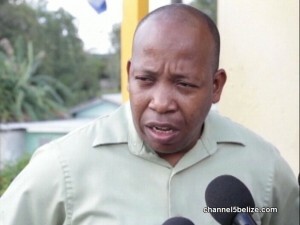 Home » Crime, Featured » Williams Says ‘Rogues’ Do Not Define Police, B.D.F. And while the Police Department has had its fair share of a black eye, ACP Williams says that the actions of the men are not indicative of the mode of operation of the unit. He says that the police department wants to assure the public, particularly the Orange Walk Town community, that there won’t be any cover-ups for their own. Word to News Five late this evening is that police plan to charge a police officer and two B.D.F. soldiers by Saturday.